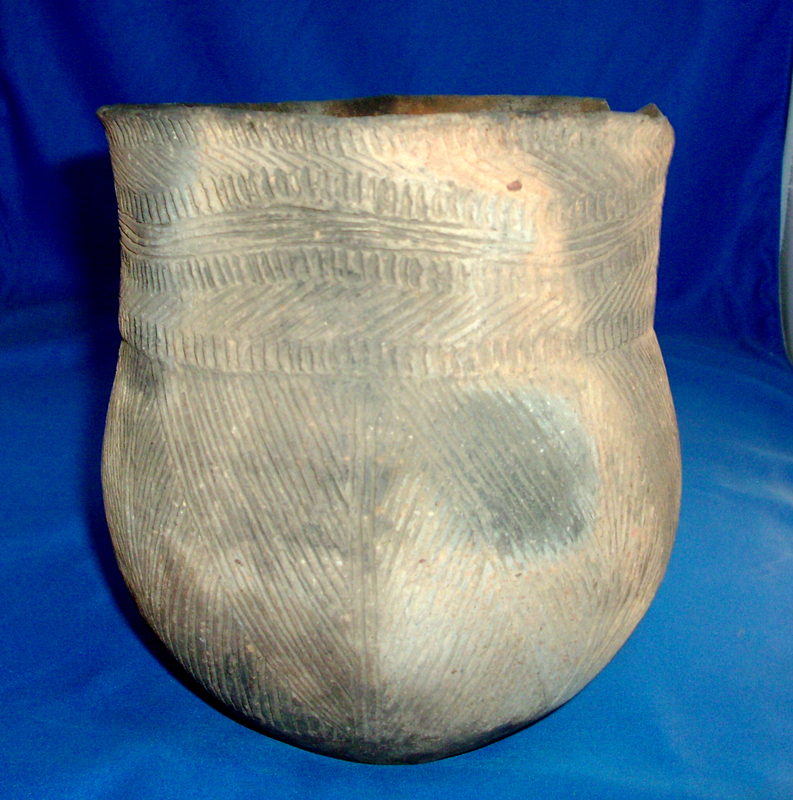 In The Incising, Correct Material And Manufacture For The Area Found. Ex-Jack Bonds Collection. This Nice Example Has Excellent Detailed Incising, Having Beautiful Firemarking, Being In Solid Condition With Visible Ancient Use Rim Damage! Includes A Ken Partain Certificate Of Authenticity!